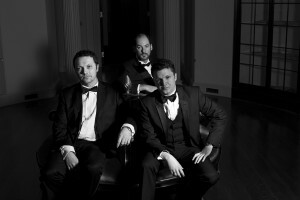 Ocean’s 3 are Aberdeen’s premiere Rat Pack vocal trio, bringing you the best of Frank Sinatra, Sammy Davis Jr and Dean Martin plus much, much more. Ocean’s 3 combine great live music with their own unique off the cuff humour, guaranteeing a great night for all. Ocean’s 3 specialise in providing great vocals and entertainment for weddings and corporate events in the Aberdeenshire area. Explore this website to learn more about Ocean’s 3, experience Ocean’s 3’s music and find out how to book Ocean’s 3 for your next event. Copyright © 2019 Ocean's 3. Powered by WordPress and Alétheia.